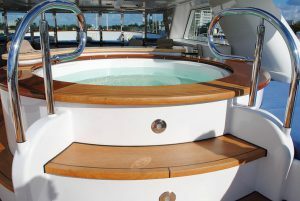 Home » How to pick the right hot tub movers? Moving is always an exciting and fun thing to do. And for a good reason. It is not something you are going to do often, and you should enjoy every part of it. Once you finish with the search for a new home and plan a moving day, it is time for packing. But that is not an easy job. Especially if you have some big and heavy belongings that you want to move to your new home. Like the piano. Or a hot tub. That is something you definitely can’t relocate alone, and even if you can – you shouldn’t. If you try, not only you are risking damages on your precious items, but you can get some serious injuries. Luckily, there is a solution – hire hot tub movers. And we will help you find and choose the right one. Let’s begin. Before you start the local moving adventure, you need to decide what can you do DIY style. In case you are planning to relocate on a budget, you definitely need to cover some parts of your move by yourself. But, there are some aspects of relocation that you shouldn’t even try doing on your own because you can make more harm than good. One of such things is trying to relocate hot tub without additional help. As you may know, a hot tub can weight up to 1000 pounds. Not only it is pretty heavy, but it contains a lot of delicate parts. In order to avoid damages and injuries, the smart move would be to hire good hot tub movers for this job. Even though it will cost you a certain amount of money, you should look at it as an investment. But, there are some things you can do yourself even if you are going to hire hot tub movers. In order to ensure safe relocation, you need to prepare your hot tub for the move. Get necessary packing supplies – you can use blankets and air bubble packing to cover sensitive parts. Make sure you have some bags that you will use for storing small parts. And label everything in order to avoid losing time during the assembling process at your new home. Unplug hot tub – in case that your hot tub has a detachable power cord, make sure you safely store it. 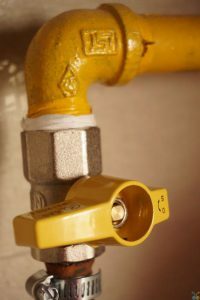 Drain the water – once you access the drainage spout, attach a hose to it and open the valve. If you are not confident to do it yourself, check the user manual for the right procedure. Remove the cover – if your hot tub has a removable cover, you should transport it separately. Moving industry is getting bigger every day. Many are trying to find their luck with it as it is a very lucrative business in Toronto nowadays. And that is exactly why you need to be careful in order to avoid hiring low-quality movers. The last thing you need is to find cheap unexperienced movers and risk damages on your hot tub. Important to realize that not every moving company is good for this job. Not to mention that there are some fraudulent movers out there as well that will try to trick you in order to steal your money. If you want to have smooth and easy relocation, you will need to know how to avoid such scammers. That is why you should get familiar with the features of good and reliable moving agencies. Moving a hot tub is a very specific type of relocation, and you can trust only the best High Level Movers Toronto has to offer. In this business recommendation is everything, and every decent moving company is aware of that. There is no better advertising than a satisfied customer. And your goal is to find such. If you know someone who was recently in the similar undertaking – you are lucky. And if it happens to be that that person is very satisfied with his hot tub movers then you are even luckier. In case this is not the case with you, there is some research you need to make. Ask your friends, colleagues or neighbors to help you with this cause. Maybe they know somebody who recently moved and can help you hire the right moving company. But even if you can’t find anyone to recommend you decent hot tub movers, you do not need to worry. There are many good moving agencies in Toronto, and you will be able to find the perfect one for this job. Just make sure they have experience with this specific type of property. That is the best way to ensure safe hot tub relocation. The two most important things you need to check during your hot tub movers pursuit are license and insurance. Every moving company must be licensed for the job, and you need to make sure the one you are hiring have an active moving license. Ask your movers to provide you their license number and check it in the national database of moving companies. Once you do that, you can continue with your investigation. 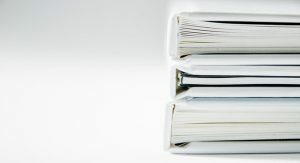 In case they are hesitating to give you such information, or you can’t find their name in the database – skip them. You can’t risk hiring unlicensed movers. The second thing is insurance. Even with every safety measurement accident may occur and you can end up with damaged hot tub. That is exactly why you need to make sure your belongings are under active insurance policy during transport. In that case, any damage occurred during relocation will be covered by this policy, and you will not need to think about reparation costs. And hot tub reparation is not a cheap thing. Even if your hot tub movers ask you to pay extra for additional insurance – make sure you take it. Better safe than sorry.